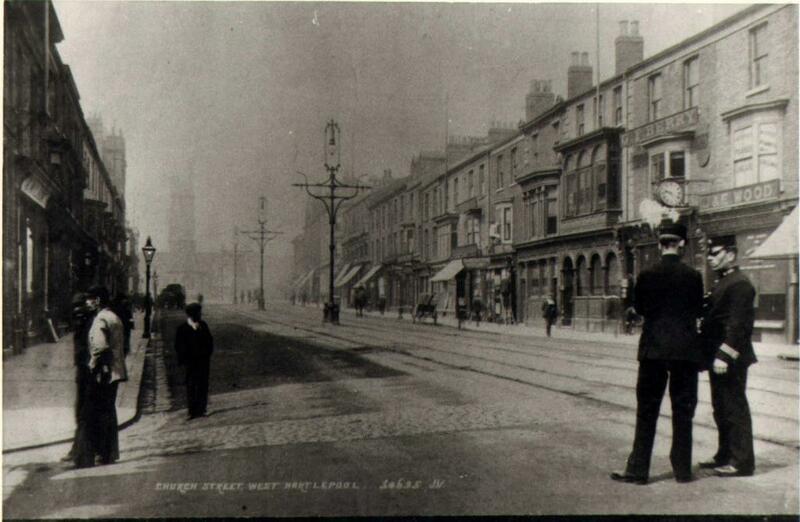 Church Street, West Hartlepool, looking towards Christ Church, which is now Hartlepool Art Gallery. Images from Hartlepool Cultural Services that are part of The Commons on Flickr are labeled 'no known copyright restrictions' indicating that Hartlepool Cultural Services is unaware of any current copyright restrictions on these images either because the copyright is waived or the term of copyright has expired. Commercial use of images is not permitted. Applications for commercial use or for higher quality reproductions should be made to Hartlepool Cultural Services, Sir William Gray House, Clarence Road, Hartlepool, TS24 8BT. When using the images please credit 'Hartlepool Cultural Services'.